PHUKET: An injured Olive Ridley sea turtle was washed up on Patong Beach on Saturday (October 5) around 10pm, with cuts to its flipper. The injured turtle was taken to the Phuket Marine Biological Centre. The turtle, weighing around 30kg, was believed to have been injured after being hit by a boat propeller off Patong Beach. Tossapol Keunha, 28, contacted Kathu Police after he saw the turtle washed up on the shore in front of the Baan Thai hotel. 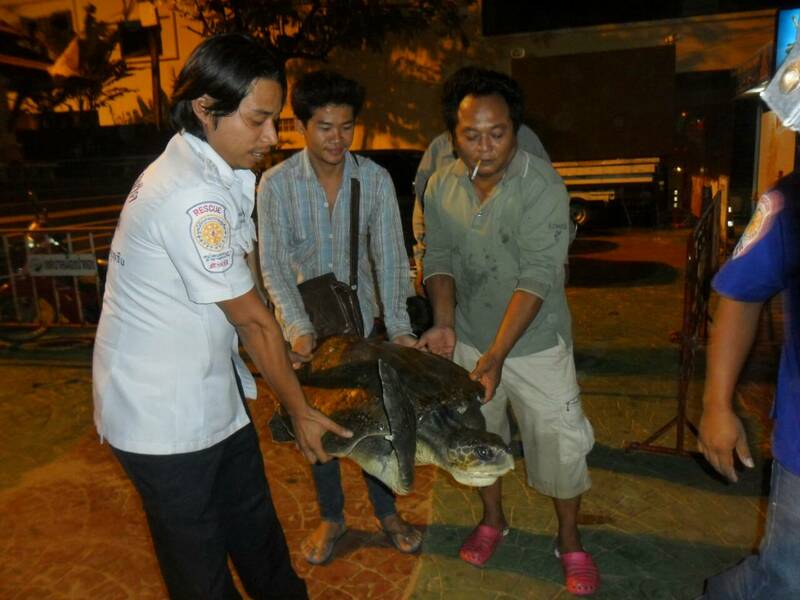 The turtle was taken to the Phuket Marine Biological Centre. The Olive Ridley turtle is endangered, and nests in several locations around Thailand.